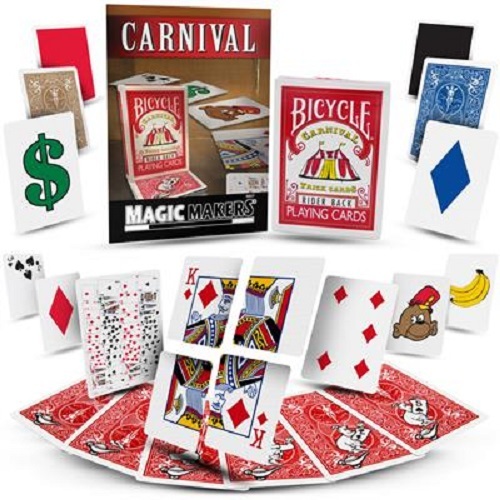 The Carnival Deck is a fun and themed deck that will entertain and fool your audience! This deck is printed in Bicycle stock and comes with an instructional DVD. This instructional DVD will teach you several routines you can perform with your Carnival Deck. Rudy T. Hunter will perform and teach you these incredible tricks step-by-step. These cards can be their own entertaining packet tricks or an entire act on their own!